The new Pilot from Honda is a story of beauty on the outside and the beast under the hood. Also mixed in there is quite a bit of intelligence throughout the vehicle as well. 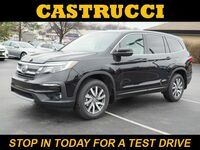 The Pilot has been improved in every way possible with the refresh done for the 2016 Honda pilot in Dayton, OH. The three row SUV has a new, more powerful engine, a new design and a new extensive list of features. The 2016 Pilot is now more athletic and ready for multiple types of off-road driving. The AWD system offers three modes and the 2WD system is even ready to take on the snow. The SUV offers drivers four options for trim levels and a number of safety features. You’ll find that even the base trim has quite a bit to offer. 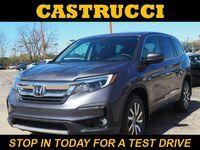 Interested in a 2016 Honda Pilot? The new Pilot offers smoother lines, straying away from the recognizable 90-degree angles and now has a more athletic appearance. The headlights and taillights follow suit and take on a less rectangular look to go with something a little more angular, matching the new grille and hood. The grille and the headlights flow into each other. The SUV also retains its wide stance giving it an authoritative presence on the road. The interior offers an organized and appealing design. The controls are ideally placed for both the driver and the front passenger to use. The center stack is mostly symmetrical and not only are the controls in reach, the placement all makes sense, offering a better user experience and small learning curve. Changes to the engine and powertrain are expected to offer class-leading fuel economy along with the increase in power thanks to the new EarthDreams technology. The 3.5L V6 under the hood offers an increase of 30 horsepower and 9 lb-ft. of torque, giving the Pilot a new total of 280 horsepower and 262 lb-ft. of torque. The engine can be paired with your choice of a 6-speed or 9-speed transmission depending on the trim level. The Pilot also offers the option for two-wheel-drive or all-wheel-drive with intelligent traction management. This means you will have options for sand, mud and snow for Pilots with AWD and a snow mode for 2WD. The Pilot will offer new safety features as well. 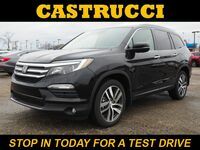 Road departure mitigation system, forward collision warning, lane keeping assist with lane departure warning and adaptive cruise control are all available for the full-size SUV. 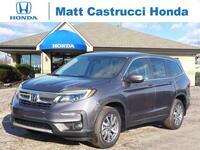 For more information on the redesigned Pilot contact us at Matt Castrucci Honda.